Click Add New Field. A popup box will appear. 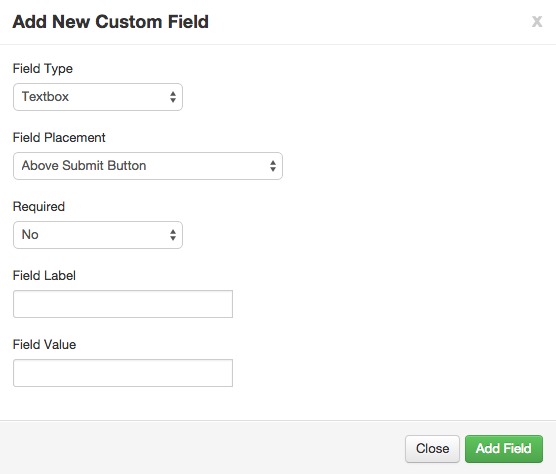 Select the type, label, value and requirement of the field. 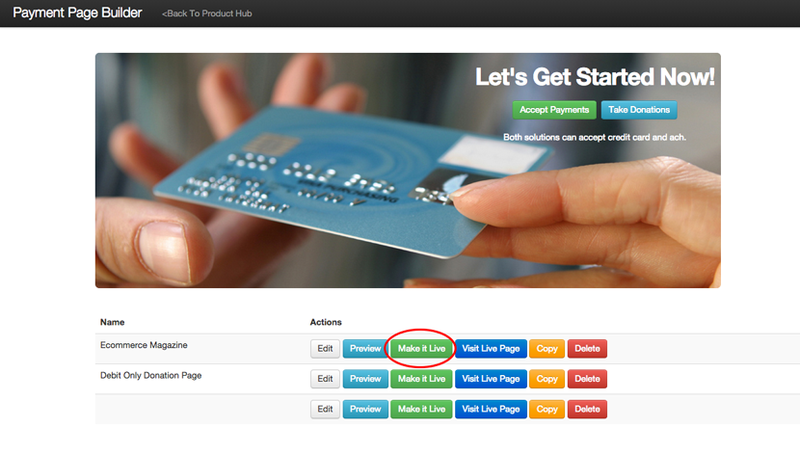 The field type allows a selection to be made for a textbox, text area, checkbox or a pull-down menu. Under Required, select Yes if you'd like it to be required, and No if you do not want it to be a required field. 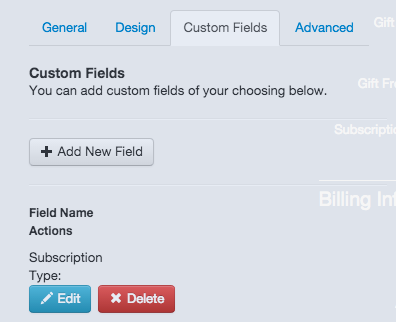 To edit or delete a custom field, you will need to click Edit or Delete. next to the field name under the section labeled Field Name Actions. If you select Edit, a popup window will appear with all configurable options. Clicking Delete will remove it from the page. In the Agreements & Disclosures section, enter a name for your agreement or disclosure in the Label section. 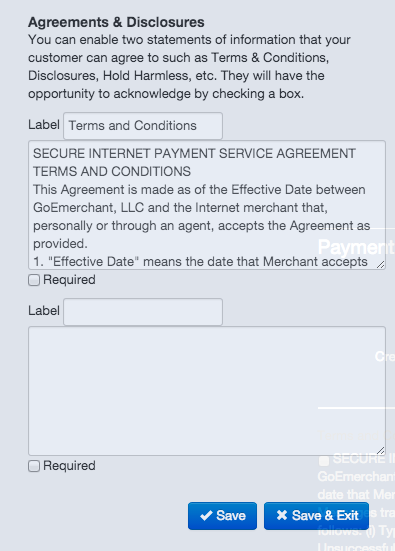 In the large textbox, enter the Agreement. If it is required that your customers agree to this, check the box that says Required.